Smart windows conserve building energy by switching from clear to tinted, dynamically controlling heat and light from the sun, depending on the building and occupants' needs. "Conventional windows waste a third of all energy used to heat, ventilate and air condition buildings," said Curtis Berlinguette, a professor of chemistry, chemical & biological engineering and the Stewart Blusson Quantum Matter Institute at UBC. "Smart window technologies offer the opportunity to reduce these energy losses but the main challenge is finding ways to make these windows less expensive." 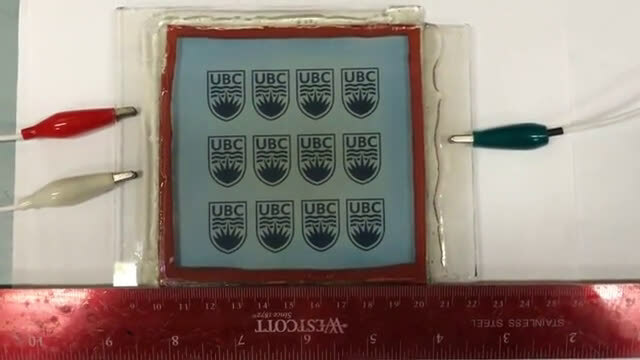 Wei Cheng, who led this project as part of his postdoctoral work at UBC, found a new way to make glass materials that change colour in response to electricity, building on a technique co-developed in Berlinguette's lab. 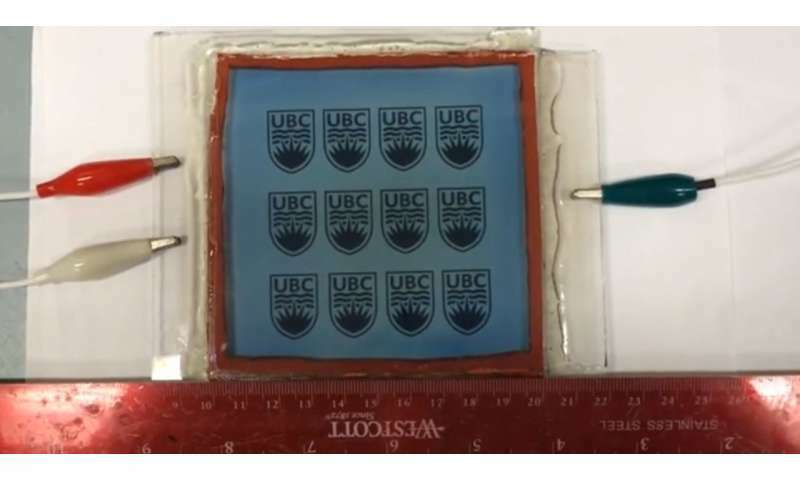 Cheng's method deposits a liquid solution containing a metal ion onto glass and then uses ultraviolet light to transform it into a film that coats the glass. The film is completely transparent but becomes blue when electricity passes through, ultimately creating the active component of a smart window. Smart windows currently cost about $500 to $1,000-per-square-metre to make, much higher than the $30 to $200-per-square-metre cost of a conventional glass window. This new method means that windows can be manufactured without high temperatures or the sophisticated vacuum equipment that are currently used to make such devices, reducing the cost. "Our technique creates a uniform dynamic coating without the need for special instrumentation," said Cheng. "Another advantage of our method is that it is compatible with many different metals and it is scalable. We are excited to potentially fine-tune the dynamic properties of the materials to improve performance even further and make large windows for commercial use." Berlinguette and Cheng are continuing to work to prove the technique by making larger and larger windows that are stable for extended periods of time. "A commercial window needs to last many years, and we need to prove our windows can do the same," said Cheng, who also noted that they were experimenting with more neutral tints so the windows would go grey instead of blue.